Today, a brochure I designed using Adobe InDesign for a new graduate program in the College of Liberal Arts and Social Sciences was printed. 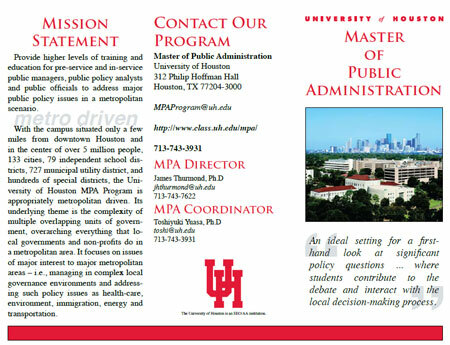 Side A of a brochure for the Master of Public Administration program. 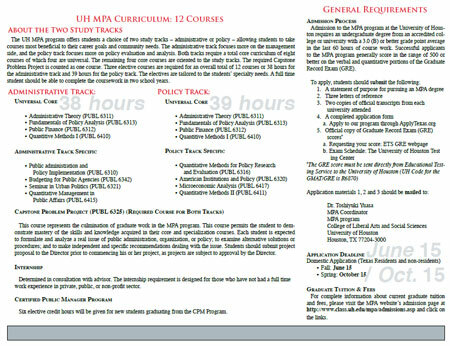 The Master of Public Administration program is designed to train tomorrow’s government leaders. Side B of the MPA brochure. Previous Previous post: We’re engaged!